Daiginjo Gokujo Kitaya was crowned 2013 IWC Champion Sake at the IWC Awards Dinner this July, and the Kitaya brewery has been celebrating its success and enjoying the enhanced media profile befitting of the winners of the most prestigious sake competition outside of Japan ever since. Brewery President Kotaro Kinoshita, having returned triumphant to Yame city, Fukuoka prefecture, where the Kitaya brewery is based, has been featured in many of Japan’s leading broadsheets, alongside his award-winning sake, and has also been interviewed for a number of television channels, including NHK, Japan’s equivalent to the BBC. He was also invited to the office of the Governor of Fukuoka prefecture, Hiroshi Ogawa, to be congratulated on the brewery’s achievement. Kitaya is the first sake from Fukuoka to win the award since the IWC sake competition started in 2007; it was awarded the accolade out of a total of 583 brands entered by 235 breweries throughout Japan. 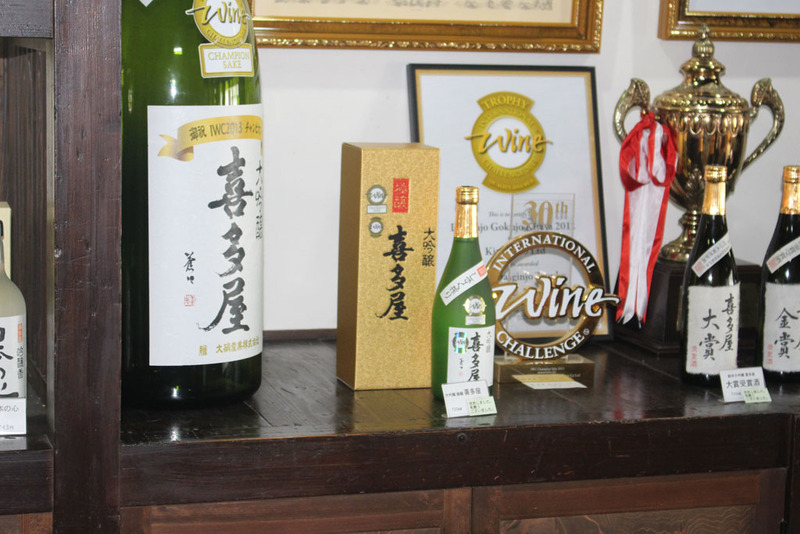 According to President Kinoshita, the award is all the more precious because the winning sake, Daiginjo Gokujo Kitaya, is very much a product of his home prefecture, Fukuoka: “this is an all-Fukuoka sake, which makes it so special that we’ve been named number one in the world”. 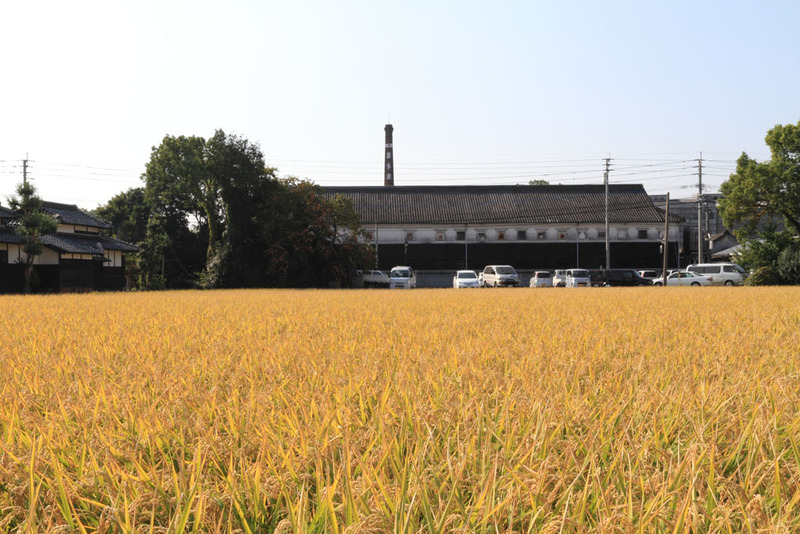 The rice is Yamada-nishiki, grown in Itoshima, in western Fukuoka, the water is subsoil water from the Yabe river system, and the people that work so hard to make the sake are born and bred in Fukuoka. 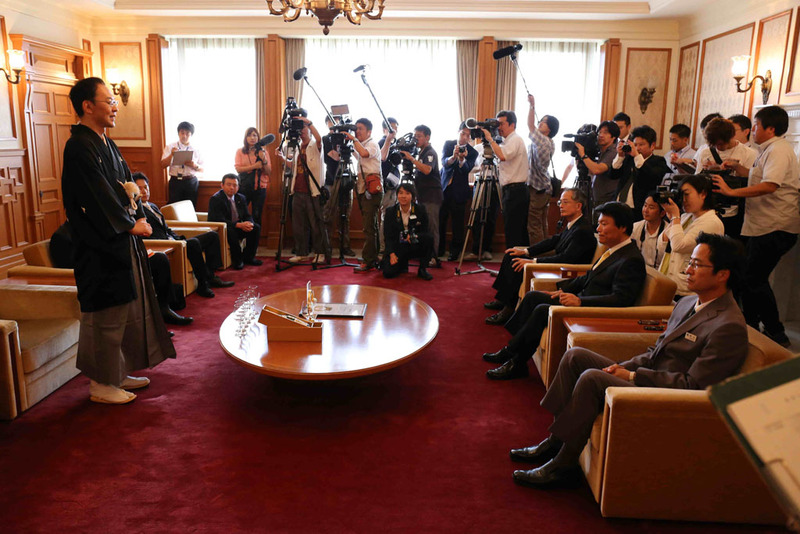 Governor Ogawa also pledged his support to Fukuoka’s latest star export, pledging his support to the Kitaya brewery as well as the rest of Fukuoka’s sake brewing community. As well as plenty of media attention, the Kitaya brewery has seen a positive impact on the business too, with sales noticeably up in July and August, and many brands selling out completely. This includes, of course, the champion sake itself, for which even next year’s scheduled production batch has now sold out. There has been a ripple effect throughout Fukuoka, too, with sake sales throughout the prefecture reportedly increasing. The economic significance of producing a brand recognized as outstanding by experts overseas has also been noted in the September issue of Toyo Keizai, one of Japan’s most authoritative business and economics-focused weeklies. Produced in 2012 with Yamadanishiki rice polished down to 35%. Made using the shizuku-shibori method a time-consuming and labour-intensive process which uses natural gravity to collect drops of sake without any pressing, resulting in a wonderful harmony of bold aroma and delicate palate. Daiginjo Gokujo Kitaya is rich and voluptuous with lots of umami and acidity. This puts it in contrast with the modern ‘light and crisp’ gingo style which is often characteristic of sake made in northern parts of Japan. Instead, this champion sake is in a classic Kyushu, or southern Japan, style: more masculine and powerful, with great intensity and complexity. A perfect sake to try with European food. Located in Yame city, in Fukuoka prefecture, in the south of Japan. 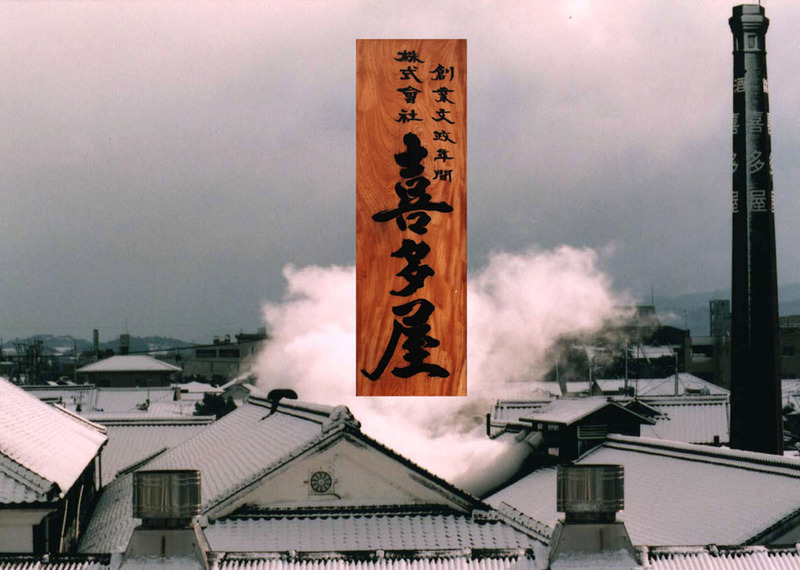 The name kitaya comes from the philosophy upon which the brewery was founded—as a place (ya) to bring joy (ki) to many (ta) people—and it has been doing just that for almost 200 years. 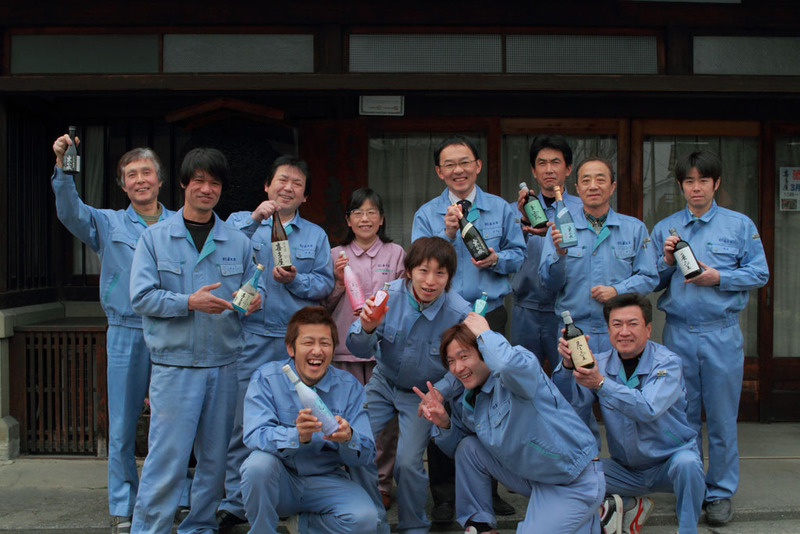 The success of the brewery is down to the strict principle that it should always be the owner who makes the sake, and still today the President, Kotaru Kinoshita, rolls up his sleeves to work alongside his master brewer and brewers to ensure that each bottle of Kitaya sake is filled with quality and tradition.